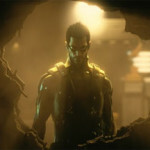 Deus Ex: The Missing Link is the first downloadable content pack for the excellent Deus Ex: Human Revolution game. 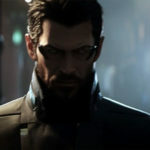 It fills in the gaps about what happened after Adam Jensen became a stowaway on board a Belltower cargo ship near the end of the adventure, but before he reached the research station where the actual endgame starts to unfold. When playing the main story, we figure Adam was in stasis the entire time. But here we learn that he actually had quite an adventure. 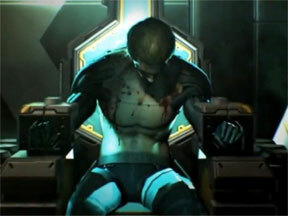 In a nutshell, Adam is caught in the stasis chamber and captured by the ship’s crew. You awake to find yourself strapped to an EMP field-generating chair, and all your implants fried. You still have your most basic powers like your communications device and fast healing, but everything else has been zeroed out. So it’s like you are a first level character again without any special abilities based on your technology. Some people may find this a bit disconcerting at first, and I sure did. Near the end of the game you are practically a superman, able to hack any system with ease, have bullets mostly bounce off your skin armor, see through walls, jump twenty feet straight up, fall from any height, turn invisible and launch ball bearings in a cloud that kills humans and robots alike in all directions around your body. But that all goes away. I suppose this was done so that everyone would hit the DLC on equal footing, but the first time you stumble trying to hack a lowly level two security console, you’re going to be a little pissed. Thankfully when you make your escape from the chair, a mysterious ally sends you toward a stash of praxis kits, which gives you eight points to put into your stats. That won’t get you anywhere close to an endgame Adam Jensen, but at least you can specialize in whatever powers you find most useful, or even experiment with some new ones without messing up your core game. The Missing Link does not seem to be connected to the main game in anyway, sort of an odd choice for a DLC. Your character from the main game has nothing to do with your character here and you can’t take anything you find in the DLC back over to the main game either. That said, it does mean you can play the DLC at any time, but it does contain at least one major spoiler if you look around, that might wreck one of the biggest surprises of the main title. So you should have probably finished Human Revolution first, or at least gotten close to the end. The plot for The Missing Link is sort of a microcosm of the game itself. It features competing interests, lots of lies and deceit from every character you will meet, multiple ways to complete objectives using either stealth or bloody combat, and is topped off with a final moral decision where you’re pretty much damned no matter what you do. Depending on what you like about the Deus Ex environment, you will either be very happy with the world here, or a bit disappointed. 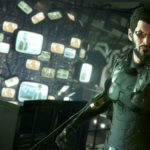 Personally, I think Deus Ex stands out and becomes a valid Game of the Year candidate when you are able to explore vast cities, creeping down the back alleys, breaking into random apartment buildings, picking up odd quests that have nothing to do with the main plot and enjoying the flavor of the town. You don’t get any of that here because you are confined to a ship and then a research base in the middle of the ocean. That said, there are a lot of places to explore and plenty of vents to crawl through. It got to the point where I could pretty much go anywhere in the base without using any main corridors, which was very helpful when a bunch of Belltower hit squads were looking for me. You don’t get any new powers in the DLC, but you are able to assemble a unique weapon, a rocket launcher, if you complete one of the game’s few side quests to find all the components which are hidden throughout the base in some very hard to reach places. Also, the main bad guy in the story owns a unique golden revolver which you can steal from him if you’re clever and very observant, not only making it available for your personal use as you move though the main base, but also denying it to him during the inevitable final boss battle. I almost felt bad for the boss who had to fall back on a normal pistol while I plugged him and his men with his own supergun. 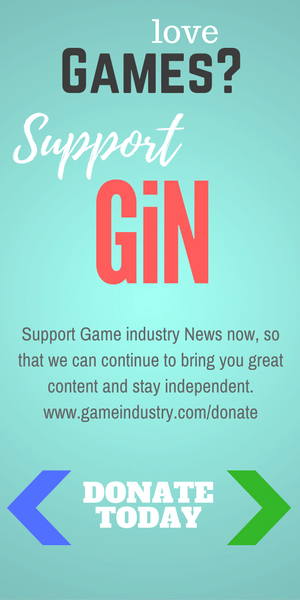 The story has a few Hitchcock-like twists, and introduces you, though you may not know it, to a faction that was present in Invisible War and the older versions of the game but missing from the new world. 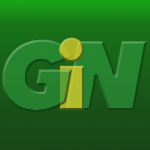 The ending has you crawling back into another stasis tube, where you presumably then go on towards the endgame. There is a little sequence at the very end with people talking about you, but I was disappointed that no narrative story was added. I wanted to know how my choices affected the world, especially the final big choice you will have to make. Did the people I helped get what they needed (in either case) or was Belltower able to sweep it all under the rug? I think people who downloaded the DLC deserve to know, like we did at the end of the main game for the choices we made there. I suppose it could be argued that this DLC could have easily been a part of the main story too, though getting your tech reset so close to the ending would have been really annoying. All in all, The Missing Link holds up as a solid, stand-alone story within the Deus Ex world. I wasn’t blown away by it and kind of wish we were presented with a new city to explore, but I did find myself missing the Deus Ex gameplay and world, and The Missing Link gave me that fix. It’s easily worth the money and I would recommend it to those who want just a bit more Deus Ex goodness to go around, or who want to see how truly dark a game can go on a psychological scale.